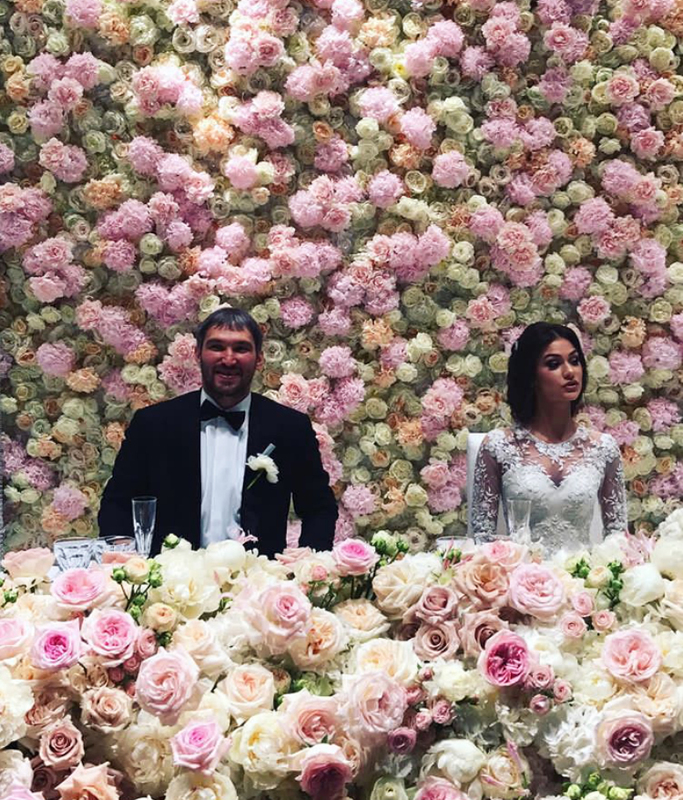 Hockey player Ovechkin threw a chic wedding at the elite village of Barvikha. 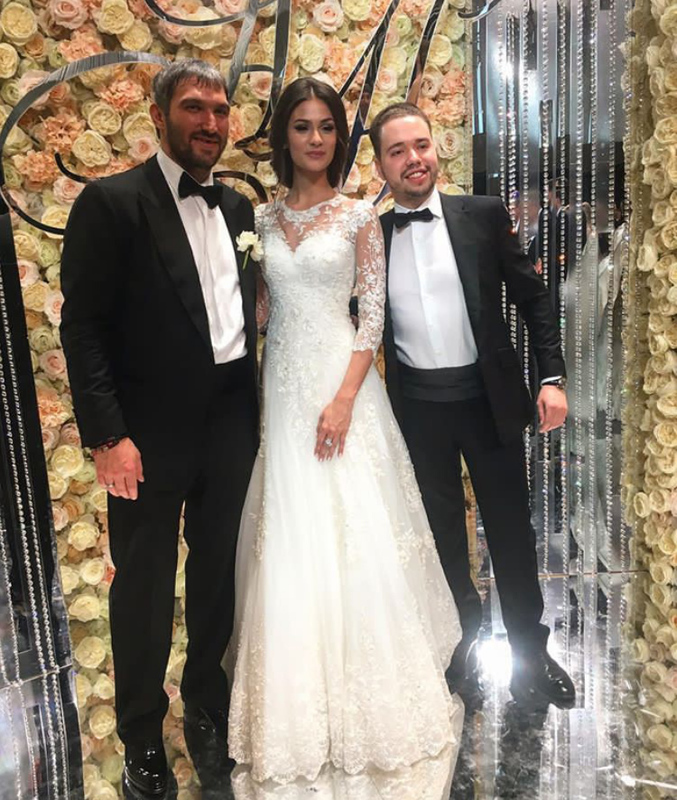 Alexander Ovechkin and Anastasya Shubskaya Photo: "Instagram"
Hockey player Alexander Ovechkin threw a posh wedding with actress Nastasya Shubskaya at the Barvikha elite village. 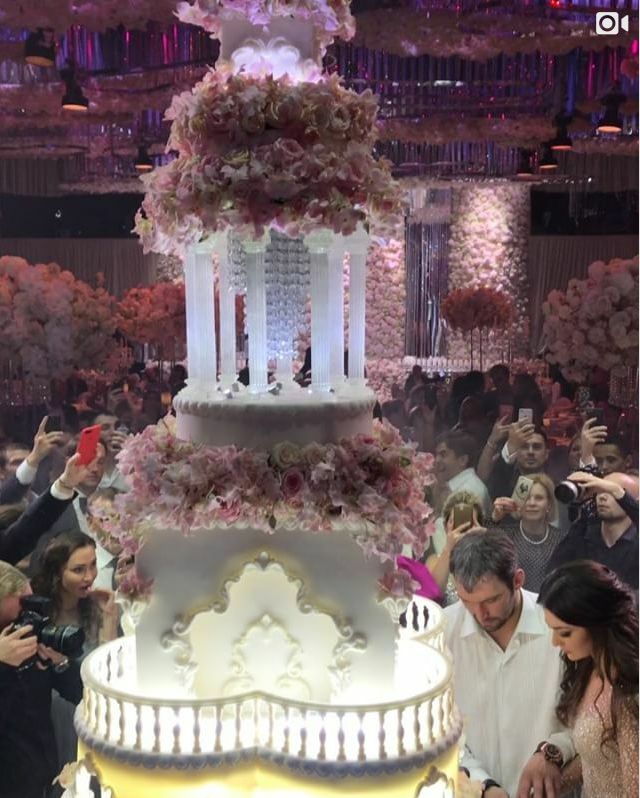 Lovers threw a stunning celebration, despite the fact that they officially got married a year ago. 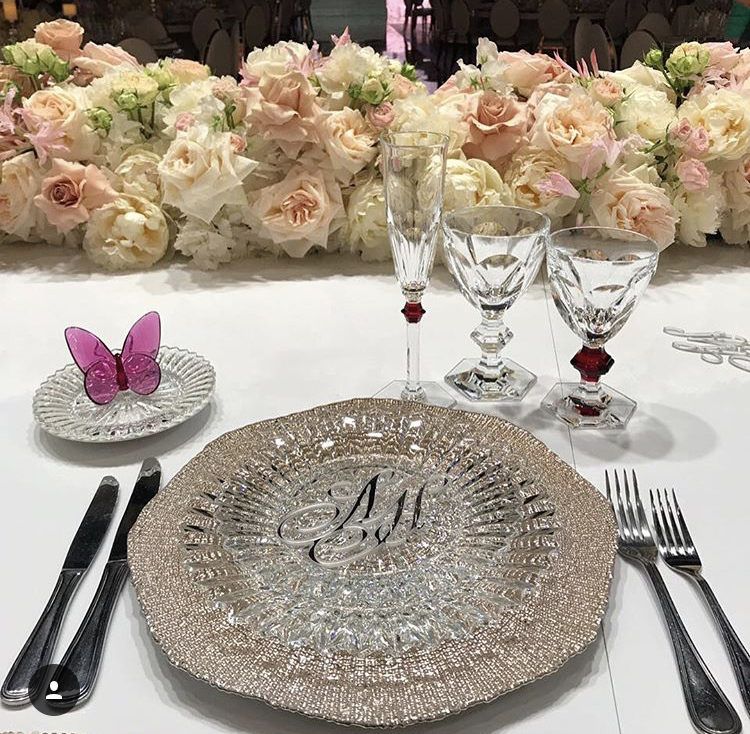 The couple chose a special date for the wedding of their dreams - the Day of Love, Family and Fidelity. 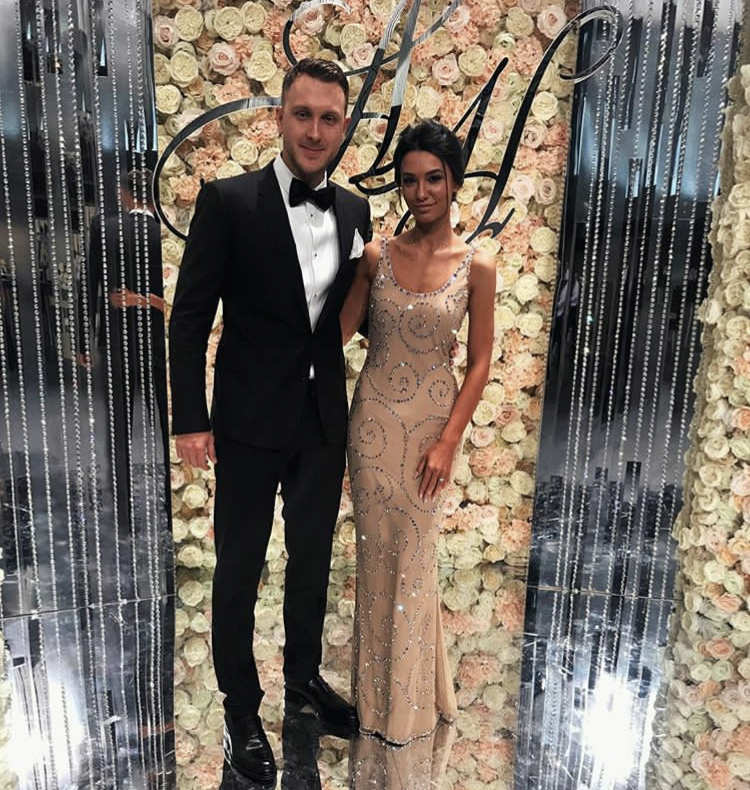 As the magazine Starhit writes, the celebration was organized by the best professionals of Moscow, and the designer's studio of the famous fashion designer Svetlana Lyalina picked up the outfits for the groom, the bride and even for the guests. 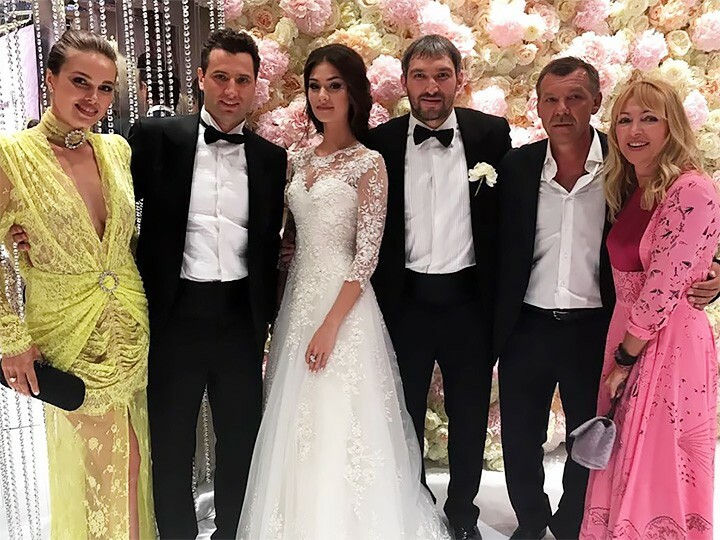 Thus, Nastya appeared before the groom in a delicate white dress made of the finest lace. Her friends were dressed in golden outfits with an open back. 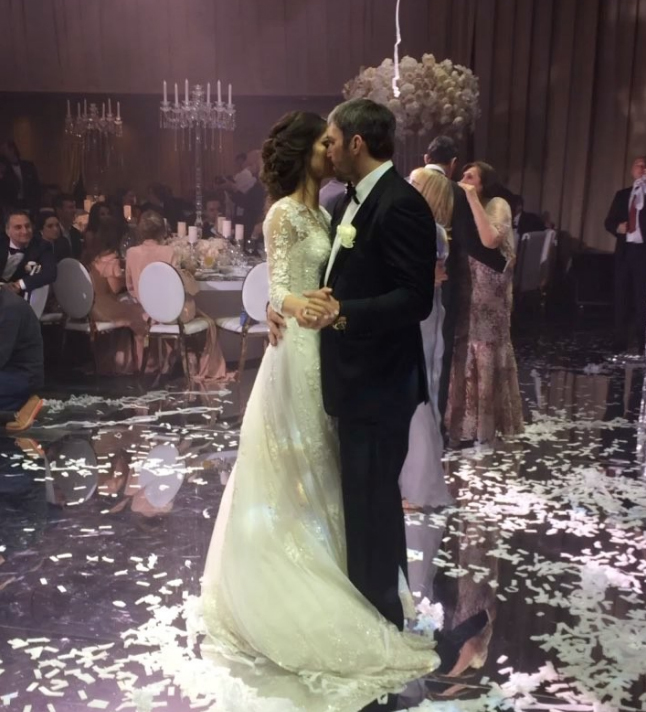 Alexander Ovechkin at the wedding appeared in a strict black suit and a bow tie. The athlete looked happy and excited. 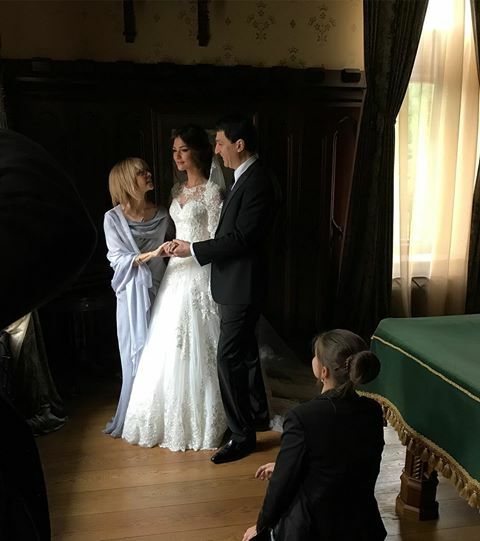 The bride was taken to her fiance by her parents - the famous actress Vera Glagoleva and her husband Cyril Shubsky. 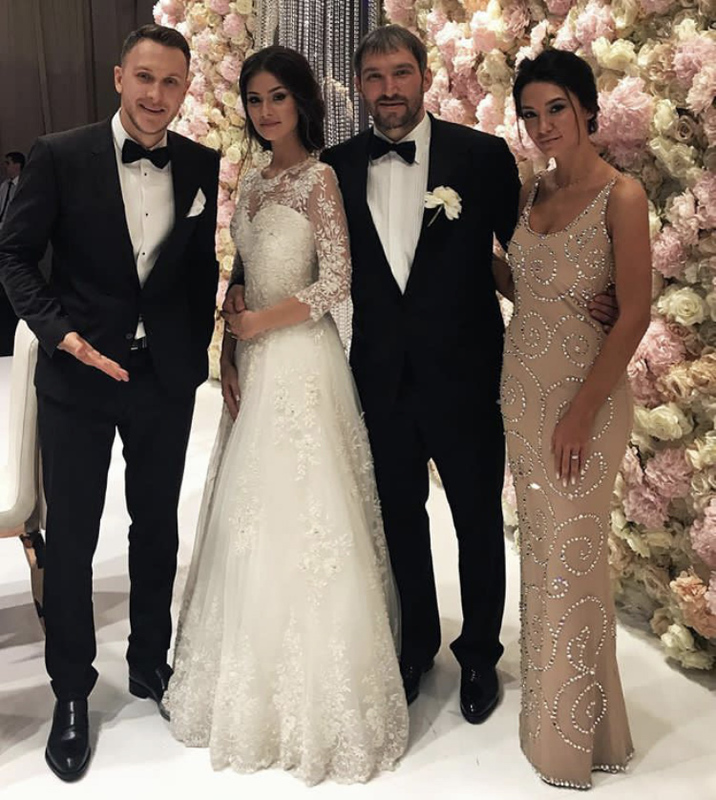 The footballer's aunt also gave preference to the classics, and her mother-in-law impressed the guests with an elegant flowing gown of soft blue color. The photo, where the parents are seen looking at the beautiful daughter with love, aroused great enthusiasm among the followers. 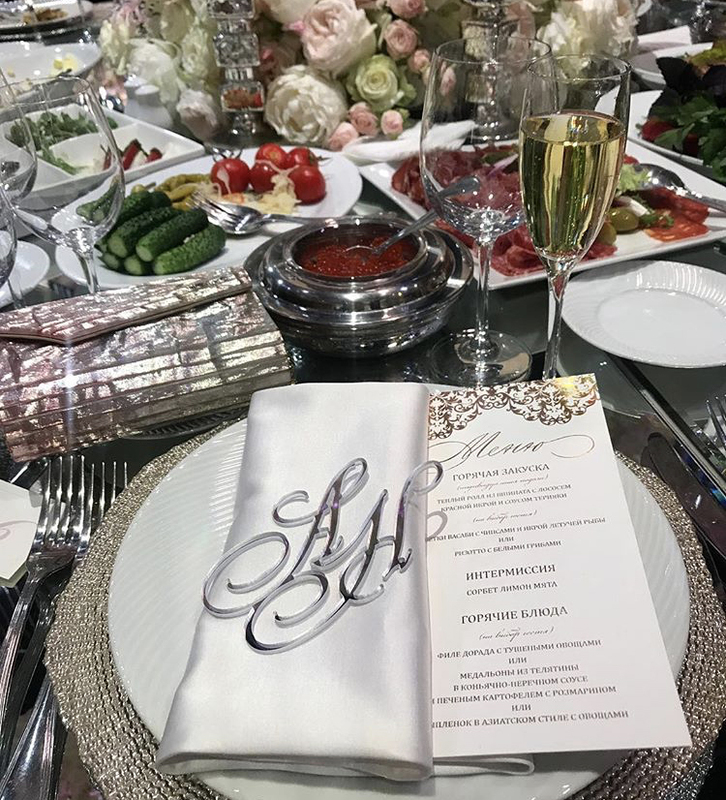 On the eve of a chic wedding, the newlyweds threw no less elegant stag and hen party. At her "farewell to the girlhood" Nastya Shubskaya appeared in jeans and a white T-shirt. And Alexander Ovechkin at the bachelor party gave his friends funny T-shirts with his portrait. 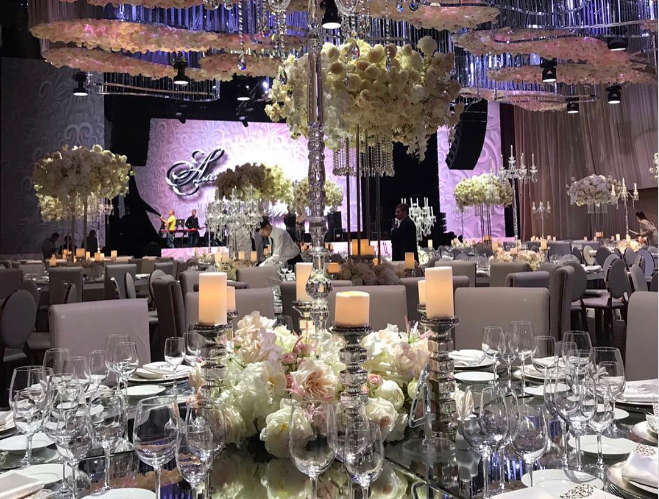 The banquet was held at the concert hall of Barvikha Luxury Village. 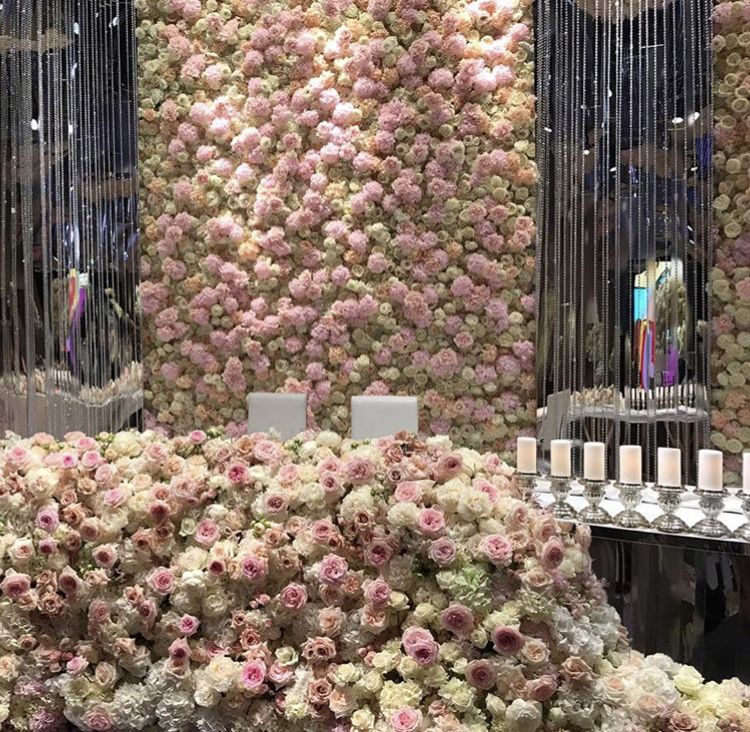 Designers have created a table design and even the ceiling with delicate compositions of white and cream roses. 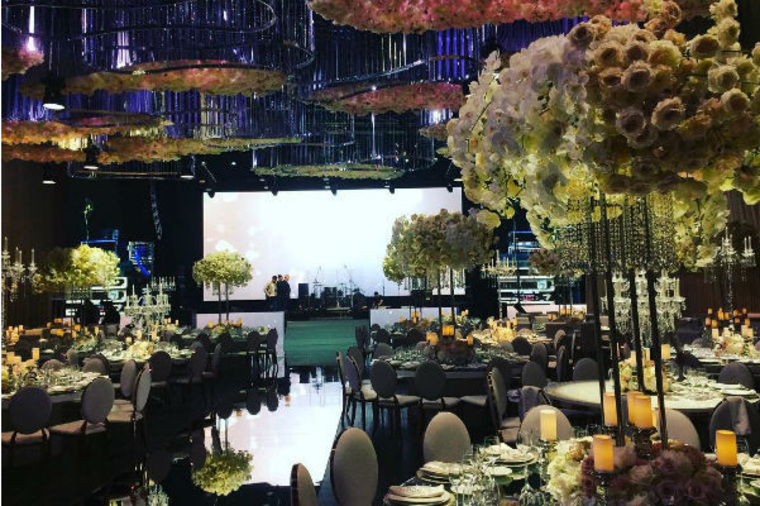 In general, the room, decorated with clouds of flowers, resembled a magical scene from a fairy tale. 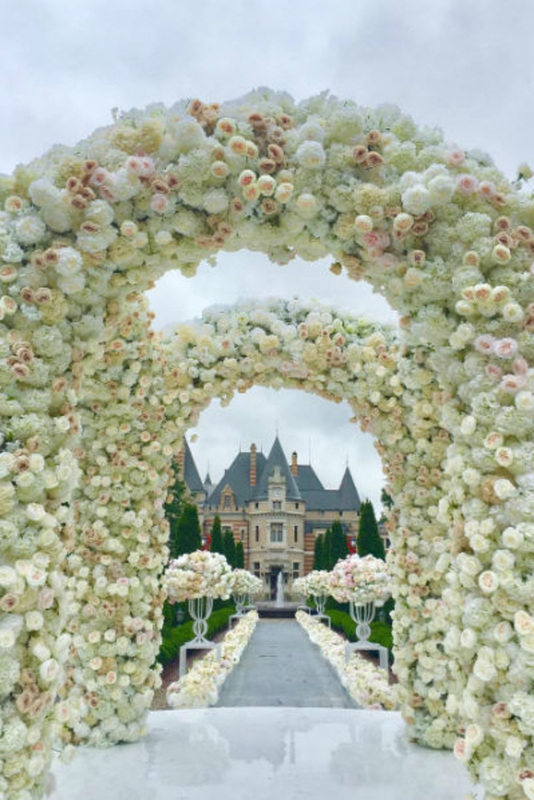 Guests were surprised by a fabulously beautiful flower arch of buds, through which the newlyweds passed. 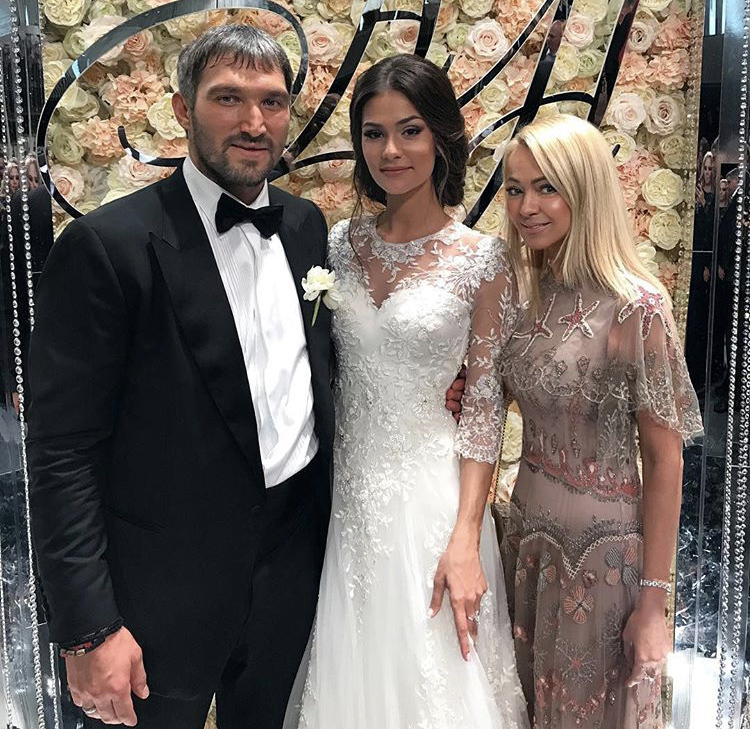 NHL star Alexander Ovechkin and beautiful Anastasia Shubskaya legalized their relationship as early as August 28, 2016 - quietly and without unnecessary pomp they gort married at one of the Moscow registry offices. And this Saturday, July 8, the couple had a "real" wedding. 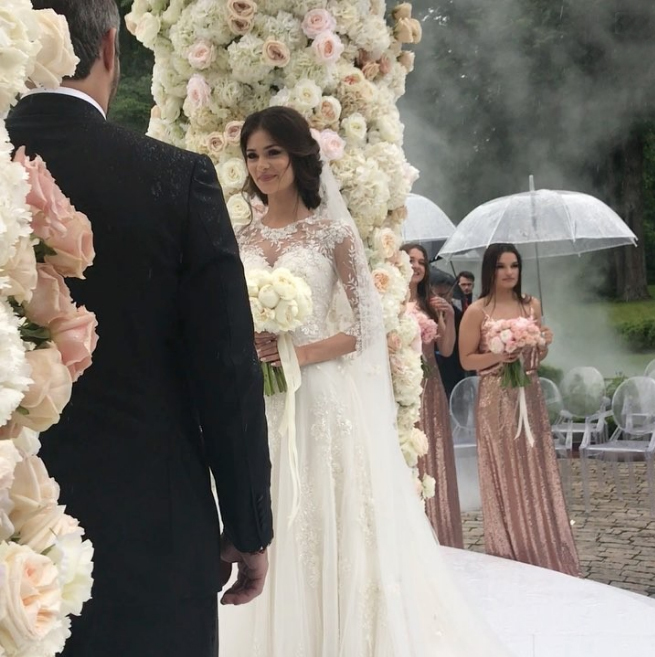 Even the Moscow bad weather did not stop the lush celebration - when guests (Roman Rotenberg, Yana Rudkovskaya, rapper T-killah with beloved Maria Belova and many others) gathered at Barvikha Luxury Village, they took umbrellas with them. Concert hall meanwhile was drowned in roses and peonies. 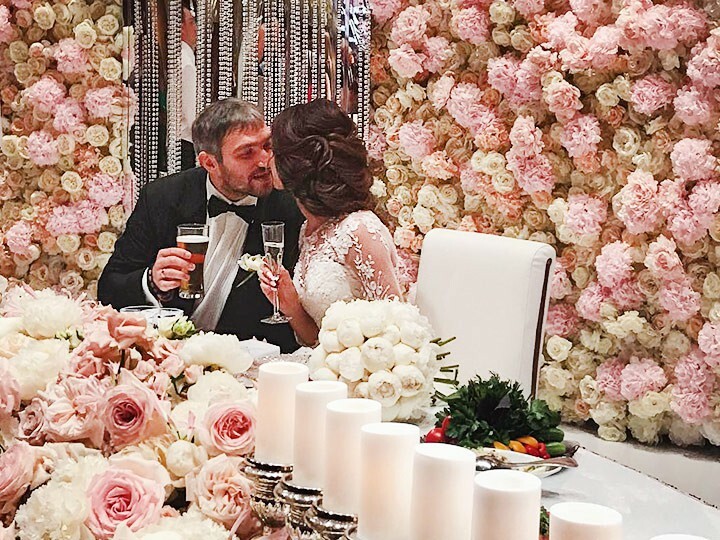 The bride was also thoroughly prepared: Shubskaya's look was made by the make-up artist Irina Mitroshkina and hair stylist Janina Bogach.